In Kolubara basin there are 14 percent of total coal reserves in Serbia. Share of lignite in reserves of all coal sorts amounts 93 percent. “Kolubara” produces about 30 million tons of lignite annually. 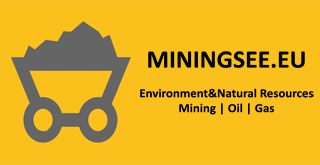 Until 2030 the strategy of mineral resources management in Serbia contains an analysis of faossil energy mineral raw materials, geothermal energy, metallic and non-metallic mineral raw materials. The most significant coal deposits are presented by lignites (soft brown coal). At the same time, they are the largest mineral complex. Compared to all types of coal reserves in Serbia, geological reserves of lignites make to 93 percent. According to data from the reserves balance of 2010 more than 76 percent of the total coal reserves in Serbia are located in “Kosovsko-Metohijski” basin. In Kolubara basin is situated 14 percent of the total coal reserves and 3.3 percent in “Kostolac-basin. “Sjenički” and “Kovinski” basins contain 2.7 percent of the total coal amount. The most significant coal reserves that are exploited within “Electric Power Industry of Serbia” are situated in Kolubara basin (around 30 million tons of coal) and in “Kostolac”-basin (more than 8 million tons). The calculations show that there are over 111 million tons of brown-coal and over 279 million tons of brown-lignite coal in the mines of brown lignite coal. Total estimated reserves of oil shale are about 4.8 billion tons of shale and 400 Mt of oil. The exploitation of oil shale has not begun yet. On 31st December 2010 initial geological and remaining balance reserves of oil (including condensate) amounted to 55 million tons, i.e. 10, 5 million tons. In recent decades, the production of crude oil in Serbia is characterized by a continuous decline due to the high exhaustion degree of existing deposits, as well as the very low level of investigative activities. Explorations show that the use of geothermal energy for power purposes may be important in the energy balance. Envisaged reserves of geothermal energy in the storage tanks of Hydro geothermal system amount to about 550 * t 10⁶ of thermal equivalent liquid fuels. Reserves of metallic mineral raw materials include copper ore, lead and zinc with associated metals, lithium resources, nickel and cobalt, as well as molybdenum and antimony. Non-metallic mineral raw material resources include magnetite, borate, phosphate, fluorite, and other non-metallic mineral resources (clay, quartz raw materials, barite, gypsum and anhydrite, zeolites, feldspars, hupabyssal basic rocks, crushed stone and architectural stone).